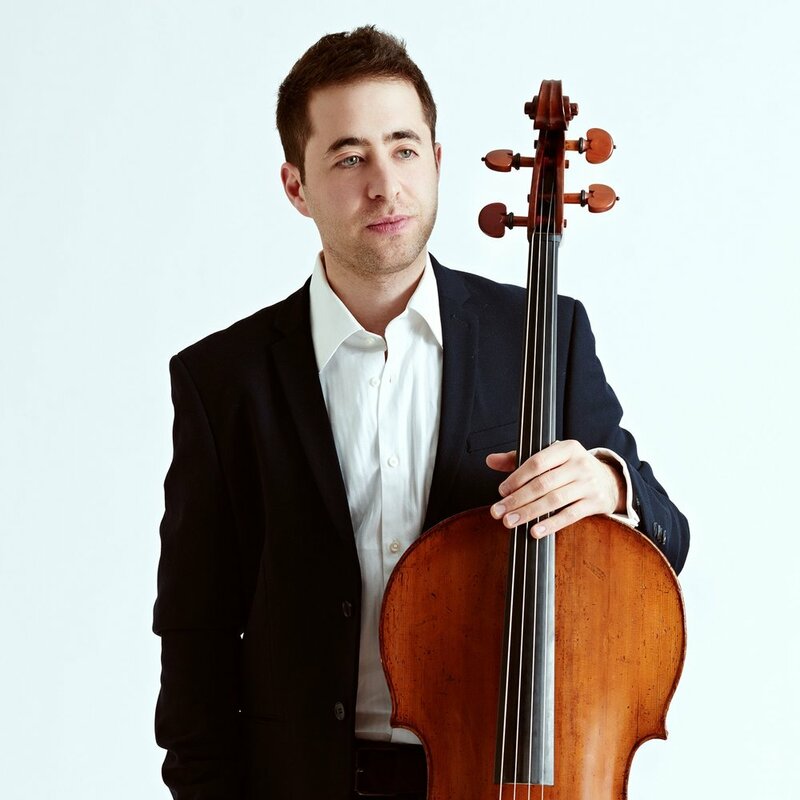 Praised for his “impressive refinement, eloquent phrasing, and singing tone” by The New York Times, American cellist Matthew Zalkind has performed throughout the United States and abroad as a recitalist, soloist and chamber musician. As a soloist, Mr. Zalkind has performed concerti with such organizations as the, the Albany Symphony, the Hongzhou Philharmonic, Musica Viva Moscow Chamber Orchestra, the Utah Symphony, the Tongyeong International Music Festival Orchestra, the Music Academy of the West Festival Orchestra and the Juilliard Symphony Orchestra. Mr. Zalkind has performed concerti with conductors Ludovic Morlot, Thierry Fischer, Giancarlo Guerrero, David Alan Miller and several others. Mr. Zalkind has given recitals at the Phillips Collection in Washington, DC, the University of Michigan in Ann Arbor, MI, Gardner Hall in Salt Lake City, UT, the Moscow Conservatory in Moscow, Russia, The Dame Myra Hess series in Chicago, The Juilliard School in New York, the Kennedy Center’s Terrace Theater in Washington, DC and the Beijing Concert Hall in Beijing, China. An active chamber musician, Mr. Zalkind has participated in numerous music festivals, including Marlboro and “Musicians from Marlboro” tours, Music from Angel Fire, Olympic Music Festival, Innsbrook Institute, Twickenham Festival, and Ravinia’s “Steans Institute.” Mr. Zalkind has performed chamber music at Carnegie Hall’s Weill Recital Hall, the Kennedy Center’s Terrace Theater, New York’s Alice Tully Hall and the Metropolitan Museum of Art. As a former member of the acclaimed Harlem String Quartet, Mr. Zalkind toured internationally with jazz legends Stanley Clarke, Chick Corea and Gary Burton. Mr. Zalkind was awarded First Prize in the Washington International Competition, as well as top prizes in the Beijing International Cello Competition, Korea’s Isang Yun Gyeongnam International Competition and the Juilliard School Competition. He also won distinction as the top-ranked American and one of the eight concerto semi-finalists in the International Tchaikovsky Competition in Moscow. Mr. Zalkind has a strong interest in teaching and outreach. He was awarded a Gluck Community Service Fellowship at The Juilliard School for four years, performing concerts at treatment facilities throughout the five boroughs of New York City. Mr. Zalkind is now an Assistant Professor at the University of Denver’s Lamont School of Music. A Salt Lake City native, Mr. Zalkind’s primary mentors included Richard Hoyt, Pegsoon Whang, Timothy Eddy, Richard Aaron, and Hans Jørgen Jensen. Mr. Zalkind has Bachelors and Masters degrees from Juilliard, and a Doctorate of Musical Arts from the University of Michigan. Mr. Zalkind plays on a rare Italian cello made by Florentine Maker Luigi Piatellini in 1760.